Armed guard shacks were everywhere. 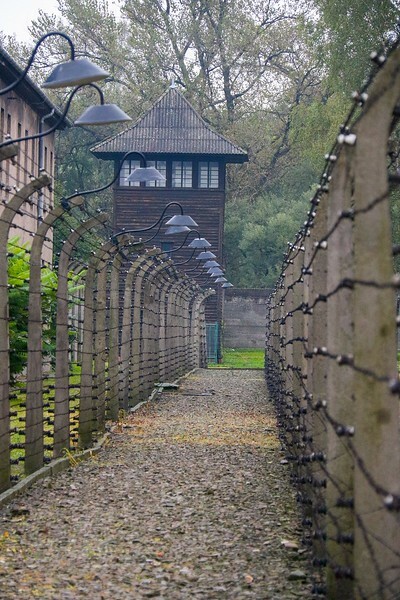 Of the 6500 known persons who worked at Auschwitz for the SS, about 750 were tried and convicted of crimes against humanity. Some were executed. During research for this gallery I discovered more courtroom accountability for war crimes in Europe than I had ever realized. This is not often revealed in U.S./British documentaries.